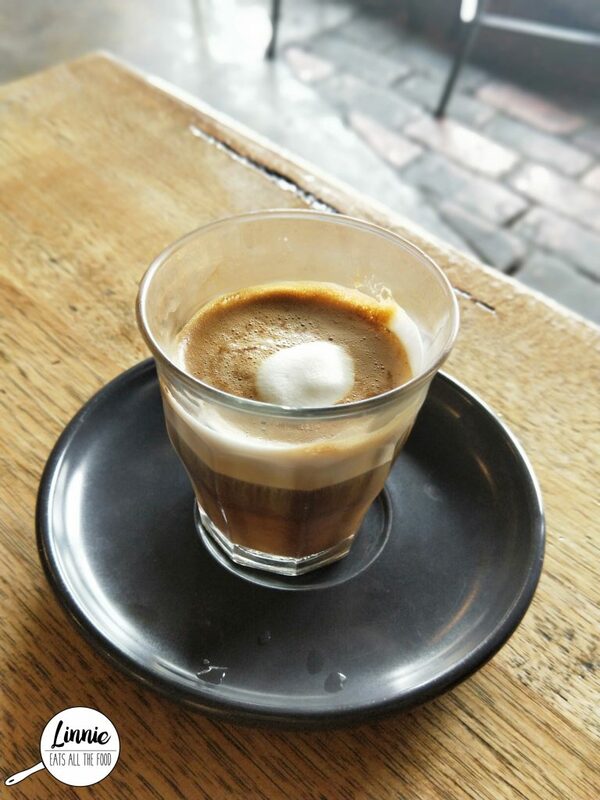 On the busy street of Union Road in Ascot Vale sits a humble cafe with a relaxed atmosphere and interior design. Little Byrd doesn’t have a massive sign out front but you know which one it is with locals sitting outside and inside laughing with their cup of coffe/tea/juice/chocolate. I thought it’ll be a great daddy daughter day and showed daddy bear the ropes of a Melbourne brunch. Daddy bear got the long macchiato and holy smokes it was good. It was strong, it was full bodied AND it definitely had a huge punch to it and I can guarantee you that it’ll knock you straight into next week. 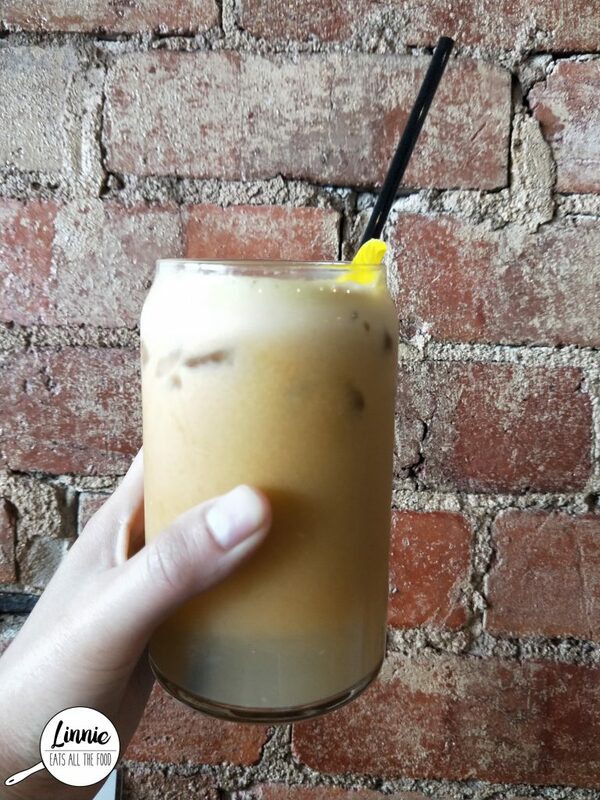 Every cafe has juices now, fresh juiced, pressed juice and anything else you can think of. At Little Byrd you can choose one type of juice OR have them all together. OH MY FRIGGING GOSH!! It was the BOMB! It’s healthy, it’s fresh and it’s just TOTES AMAZEBALLS! 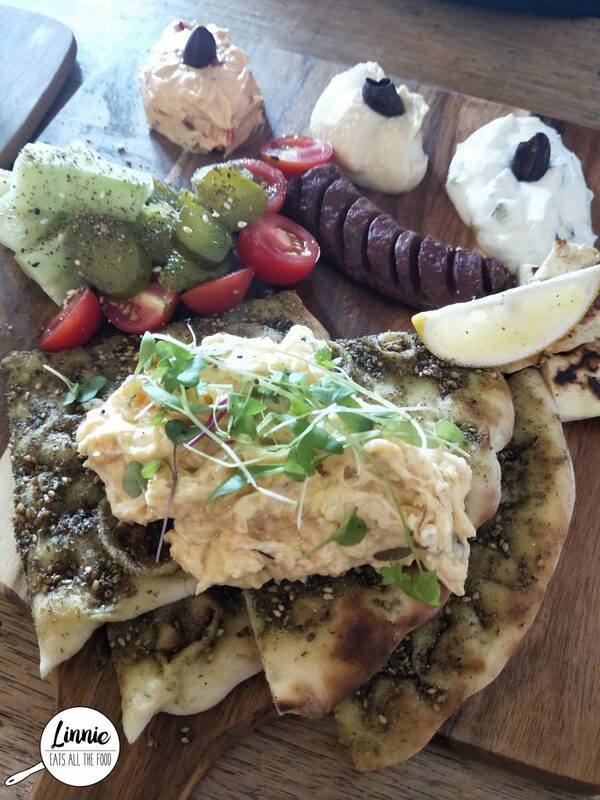 If you can’t decide what to get, the Middle eastern Platter is for you. It has a little bit of everything from dippies to eggs and Turkish sausages. The zaatar bread is so fluffy and with the spices, it does have a kick. The dippies are refreshing. The best part was the scrambled eggs was so frigging GOOD! I got the shakshuka for daddy bear he went to town. 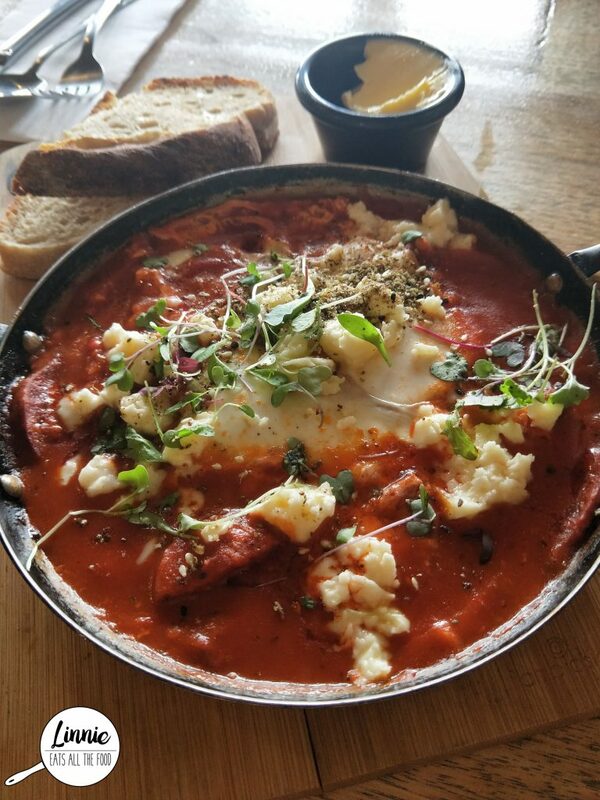 Baked eggs in spiced sauce with Turkish sausage, it was very filling and a touch on the salty side. The dish came with two slices of bread and butter if you need to be all buttered up. Now, I do love my sweets and when I saw another table get the french toast, I HAD to get it too. It was GINORMOUS and was filled to the edge of the plate. There were oreos, strawberries, edible flowers, mascarpone and maple syrup in a beaker (the nerd in me just squealed!). The vanilla bean mascapone was so rich and thick and was great with the toast. The french toast itself was a touch on the dry side and needed a lot more maple syrup. Overall, you definitely need a sweet tooth for this! Little Byrd is very popular with the locals and they have just hitched a ride on the social media train in hopes of attracting foodies. 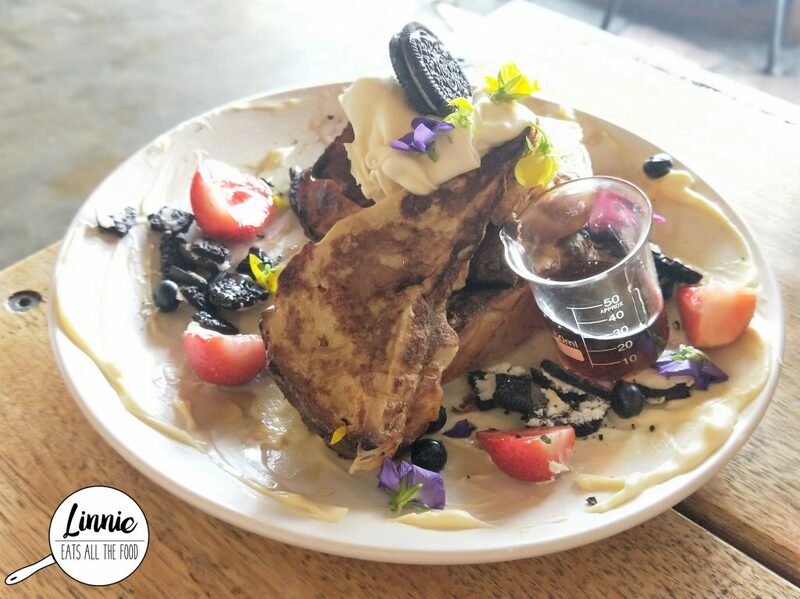 The coffee, juice and the platter was to die for and the french toast was not bad either. The staff are oh so friendly and everyone knows each other and the servings are very generous and it is one of the cheaper cafes around. We walked out of the cafe with our pants button almost popping off. Little Byrd, we’ll be flying in again. Disclaimer: I was invited to dine by Little Byrd and all opinions expressed are my own.